Each of us can make a difference. And together, we can make a bigger impact towards curbing malnutrition among children. 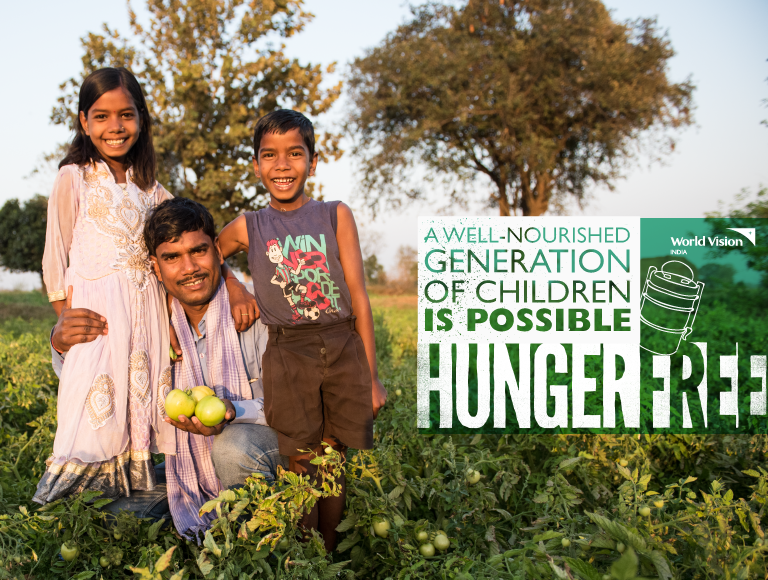 When you pledge your support, you join us in believing that a hunger-free nation is possible. You rally others by sharing stories of success, best practices and impact from the communities that World Vision India works, showing the possibility of a better, healthier future for children. In 2017 , over 9 lakh children in India did not live to see their 5th birthday. Malnutrition remains an underlying cause of 45% of these deaths. Through the Hunger Free campaign, we holistically respond to many facets of malnutrition and help save lives. We address the root causes of the issue and bring about just solutions to the complex issue of hunger and malnutrition. We are a proven and dedicated partner in ending malnutrition. Our relationship with vulnerable communities is a partnership of mutual respect, empowerment and accountability. We provide immediate food for today and empower families to produce their own food for tomorrow. How can you join and make a difference? 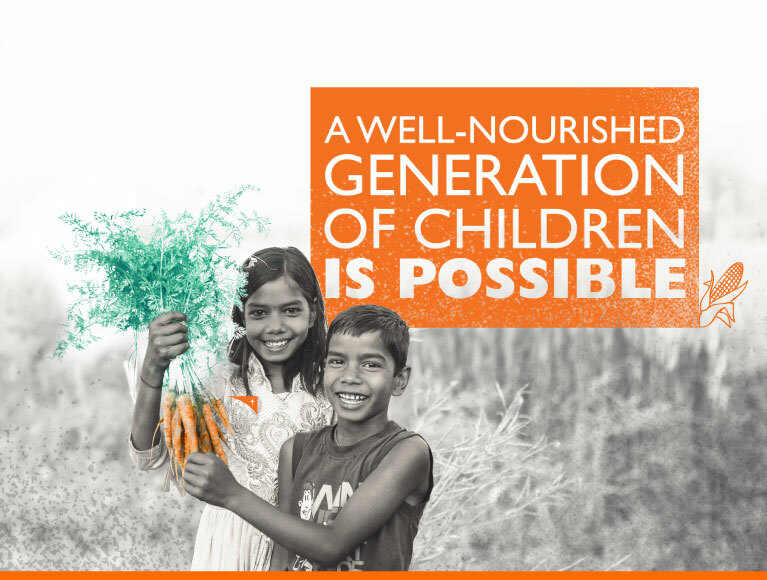 In keeping with the need for multi-dimensional approaches to combat malnutrition, World Vision India conceived and developed a nutrition-specific intervention for underweight children across the country for a period of 90 days. Through this community based feeding programme, children receive one meal and snack meeting the basic 600k calories needed, 25 grams of protein and 400 micrograms of Vitamin A requirements of children. Children with severe acute malnutrition are referred to Nutrition Rehabilitation Centres (NRCs) and a monthly food basket is given to these families for a period of six months followed up with health, nutrition, hygiene messages and counselling. This food basket contains a combination of rice, ragi, masoor dal, green gram whole, refined sunflower oil, toor dal, wheat, Bengal gram dal, soyabean oil and jowar as per the context. Marungapuri is the most backward block in the Trichy district of Tamil Nadu. World Vision India works in 20 Panchayats of Marungapuri. We are improving the well-being of children, their families and communities by addressing the challenges of low wages, unemployment, water scarcity, lack of awareness on health, hygiene and nutrition, lack of quality education and lack of sanitation facilities at homes. Dangs ADP works among 47 villages in Waghai Block of the Dangs District in Gujarat state. Life of people here revolves around agriculture. Poor sanitation facilities, poor quality of education, malnutrition and inadequate water storage facilities are some of the major concerns. Through sustainable interventions in areas of health, education and agriculture, World Vision India is improving the lives of children and their families.